GRAN CANARIA (FIBA Basketball World Cup) - More than 40 years after they last competed in FIBA's flagship event, Mexico on Thursday celebrated qualifying for the Final Phase of the tournament for the first time in their history. For coach Sergio Valdeolmillos, it was another giant step on a giant-killing run that has made the basketball world take notice. 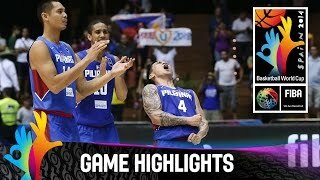 "We won the gold at the pre-World Cup (2013 FIBA Americas Championship) and at the Centrobasket, so we accomplished those goals, and today we accomplished another one," he said. But Valdeolmillos also took time to reflect on the greater meaning of his team's 87-71 victory over Korea, which sets up a Round of 16 clash with the USA on Saturday in Barcelona. "I feel really happy for the qualification for the next round, but the most important part is what my players and staff have been taking about," he said. "What really matters is how will this influence Mexican basketball? 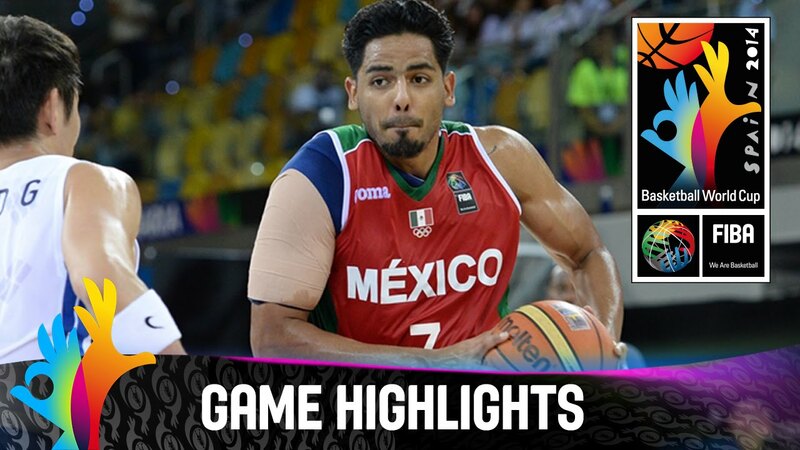 Will it be positive for Mexico, and will this make a change to the problems Mexican basketball is facing right now?" Forward Marco Ramos had little doubt this result would have a big impact back home. "Today was a very important day for the history of Mexican basketball," he said. "We are very proud, we're a very proud country, a very proud team, we have a great coach and great coaching staff, and today we made history." Mexico received a scare earlier on Thursday when Angola defeated Australia, making a victory over the FIBA Asia bronze medallists a must to progress to the knockout rounds. But having already defeated the Angolans by 24 points, the Central Americans romped to a convincing victory to remove any doubt they are worthy qualifiers. Fittingly, the Americas champions celebrated with vigour on court at the final buzzer, receiving much adoration from their large band of traveling fans. "We're excited man, the bottom line is we're just excited," said Ramos. "A lot of us dreamt about this a long time ago and probably had no idea this could happen to a fortunate group of guys. "We got the opportunity in Venezuela (last year) and took advantage of it, now that we're here we're advancing to the next round so we're going to make the most of it." Of course, with the USA next on the menu their chances of victory seem slim, but Ramos and Co will simply put their best effort out on the floor and see where the cards fall, as they have for the past two years of beating more fancied opponents. "We're all very happy to go into the next round, we're going to face a very tough team," he said. "Everybody's counting us out but we’re a bunch of warriors, we're ready to face Team USA."